Hello Friends, these are the cards we made during the last Facebook Live Event, if you are new to my blog, let me explain that every Thursday at 7pm CST I hold a Facebook Live Event, where I show how to make cards or other items.. I also share swaps I get whenever we have a new catalog.. Anyway new to this year I will be mailing the card kit to make all the projects I made at these event when you place a $35 order using the hostess code that I will be sharing that night.. Orders need to be placed from the day I have the Facebook live event to the next Wednesday, as the following Thursday there will be a new live video and new samples.. Here are the pictures of the projects we made and below is the video where I show you how to make each of these cards, there is also a supply list at the end of this post, where you can see the items needed to recreate this cards.. the only thing you would need to have to complete the card kit is the stamp set, as I cannot send you stamped images.. however you can substitute with any other one you might have.. 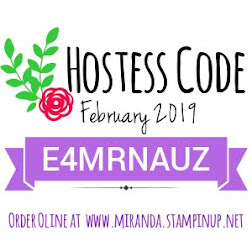 Please note that this last card features the lots of lavender stamp set!! and this one is from the Sale-a-Bration promotion, so this stamp set is FREE when you purchase $50.. is that not great??? Take advantage during Sale-A-Bration (SAB) as you get FREE items for every $50 you spend, there are no limits!! 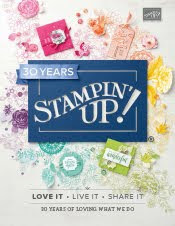 spend $100 you get 2 items from SAB, spend $150 and you get 3 items for free plus stampin rewards!! Please note that there are Items on the SAB promotion that are only available for FREE when you order $100, these items are the last two on the brochure and there have a logo that says Free with $100. also if you want to get any of the items I use, you can click on the images below and it will take you to my online store where you can purchase any of these items. Glad you enjoyed the cards :) thanks for stopping by and commenting.